National Coordinating Staff pictured at a Winter, 2017 retreat in Tucson, Arizona. The USA-NPN's National Coordinating Office (NCO) guides the development of the Network, facilitates communication between scientists, land managers, policy-makers, and the public who are interested in assessing the effects of global change on natural ecological systems. Staff members work for the US Geological Survey and The University of Arizona. 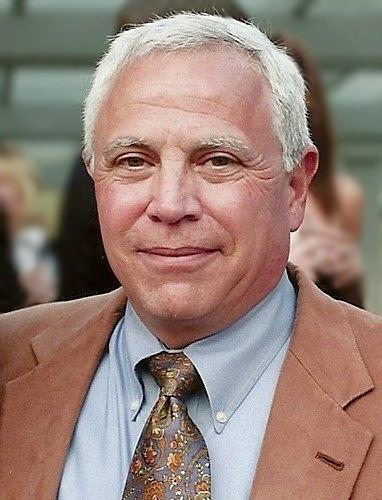 Jake Weltzin assumed his position as Executive Director of the USA-NPN in August 2007. Jake’s interest in natural history developed as he grew up in Alaska and served as an exchange student in the Australian outback. He obtained his B.S. from Colorado State University, M.S. from Texas A&M University, and Ph.D. from the University of Arizona. Following a post-doctoral fellowship at the University of Notre Dame, Jake went to the University of Tennessee, where he served as Assistant and then Associate Professor. Theresa Crimmins assumed the role of Assistant Director in August, 2015. For nearly seven years prior to this, she served as the USA-NPN’s Partnerships & Outreach Coordinator. Theresa works enthusiastically to support involvement in Nature’s Notebook, the growth and use of phenology data and resources curated by the USA-NPN, and a broader appreciation of phenology among scientists and non-scientists alike. Theresa obtained a B.S. in biology and an M.A. in geography from Western Michigan University and a Ph.D. in natural resources from the University of Arizona. She currently serves on the editorial board for Ecosphere. Theresa was selected as a Distinguished Alumnus of Western Michigan University in 2018. Her research interests encompass plant response to global change, spatial analysis, and engaging citizen scientists of all ages in scientific discovery. LoriAnne Barnett coordinates the USA-NPN's education activities, focused on engaging a variety of formal and non-formal audiences in experiential education and phenology via the Nature's Notebook program. She has worked in a number of educational settings over the last two decades, teaching both youth and adults the importance of place and connections to the natural world, and serves as an advocate for citizen science, education and stewardship of the land. LoriAnne holds a B.A. in Environmental Studies from Shippensburg University in Pennsylvania and a M.A. in Environmental Science and Environmental Education from Prescott College in Arizona. 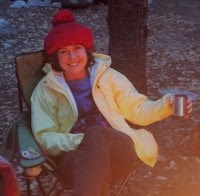 She has led workshops on leadership development, Wilderness First Aid, outdoor adventure safety, and risk management. Her areas of expertise include youth development, program and curriculum development, and environmental education. Current Board service includes President of the Arizona Association for Environmental Education and founding board member and Statewide Coordinator of the Arizona Master Naturalist Association. Ellen Denny coordinates the development of the USA-NPN protocols for the collection of standardized ground-based plant and animal phenology observations across the nation. She also serves as a scientific data manager for the National Phenology Database, and as a global liason, helping to advise developing national phenology networks around the world, and working towards global integration of phenology data. Ellen has a B.S. in Aquatic Biology from Brown University, and an M.F.S. (Forest Science) from the Yale School of Forestry & Environmental Studies. Her professional interests began in marine invertebrate ecology, shifted to ecological restoration, and eventually landed in terrestrial ecosystem ecology. She spent a decade working as a field ecologist and data manager in the forests of New England before coming to the USA-NPN in 2008. Ellen still lives in Kittery, Maine, and participates remotely in the Tucson-based National Coordinating Office. Kathy Gerst is an ecologist conducting research and development for phenology data products derived from the National Phenology Database. Previously, she was a liaison with the California Phenology Project facilitating the implementation of plant phenology monitoring in California National Parks. In this role, she collaborated with agency and academic partners to develop project documentation, protocols, data summary and analysis products, and outreach materials. Kathy received a B.S. in Ecology, Behavior and Evolution from UCLA in 2001. She completed her PhD in Ecology and Evolutionary Biology in 2011 at the University of Arizona where she carried out research on the evolutionary ecology, reproductive biology, and physiology of desert annual plants. Broadly, she is interested in understanding how species, communities, and populations respond to a variable and changing environment. Lee Marsh manages the development of IT tools and infrastructure, including the database, web site, mobile apps and physical hardware that all make the NPN run. He also helps develop, enhance and maintain the USA-NPN's PHP, Java and AngularJS web applications. He also plays a key role in data integration efforts. Lee graduated from the University of Illinois, Springfield, with a B.S. in computer science, and spent several years working in the private industry before coming to the NPN. His interests include computer gaming, creative writing and weight lifting. Stuart received the B.S. degree (1973) in Geology from George Washington University, Washington, DC, and the M.S. (1975) and Ph.D. (1979) degrees in Applied Earth Sciences from Stanford University. 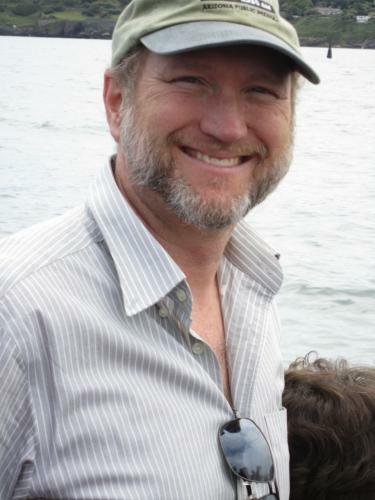 Professor Marsh joined the faculty at the University of Arizona in 1988. Prior to coming to the UA he held positions in industry and the federal government. He served as Director of the School of Natural Resources and the Environment from 2012 to until July 2018 and he served as Chair of the Arid Lands Resource Sciences Interdisciplinary Ph.D. Program from 2002 through 2012. He has also served on the Graduate Interdisciplinary Programs Advisory Committee (GIDPAC) from 2007 through 2010, as Director of the Arizona Remote Sensing Center from 2004 through 2011. He was a recipient of a J. William Fulbright Senior Scholar Award, multiple awards from the American Society of Photogrammetry and Remote Sensing, NASA, and the USDA. 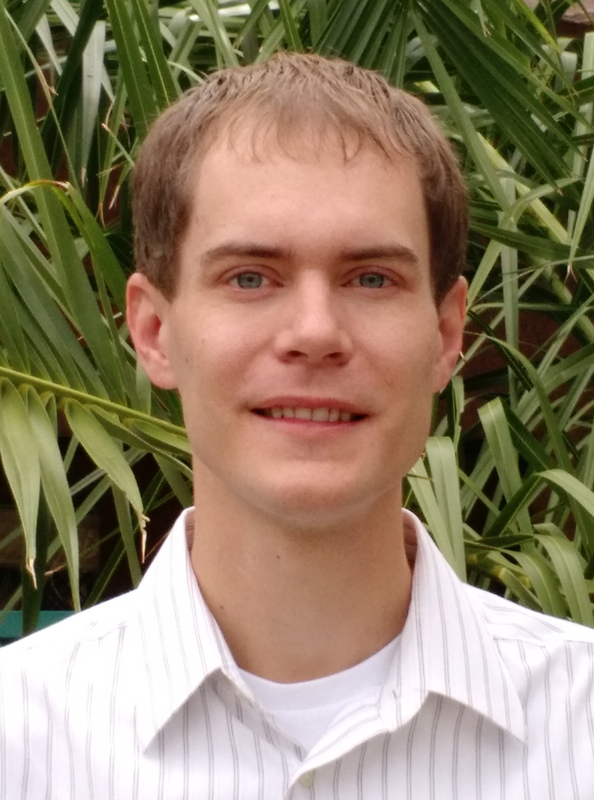 His research focuses on the integration and analysis of multitemporal airborne and satellite remote sensing data with GIS technologies to map and monitor environmental change. He has worked on mapping land-cover change in environmentally sensitive areas of Africa, the Middle East, Mexico, and the U.S. This work helped to create new techniques to map land-cover change at global scales, develop rule-based and geostatistical models of vegetation distribution under varying climatic regimes, and evaluate the environmental impacts of land-cover change within arid environments and urban riparian and rural/urban fringe habitats. Sharon Oliver, Administrative Associate, manages the administrative details of the National Coordinating Office, including budget and travel processes, supports the planning of conferences and meetings, and works on special projects. Sharon received a B.A. 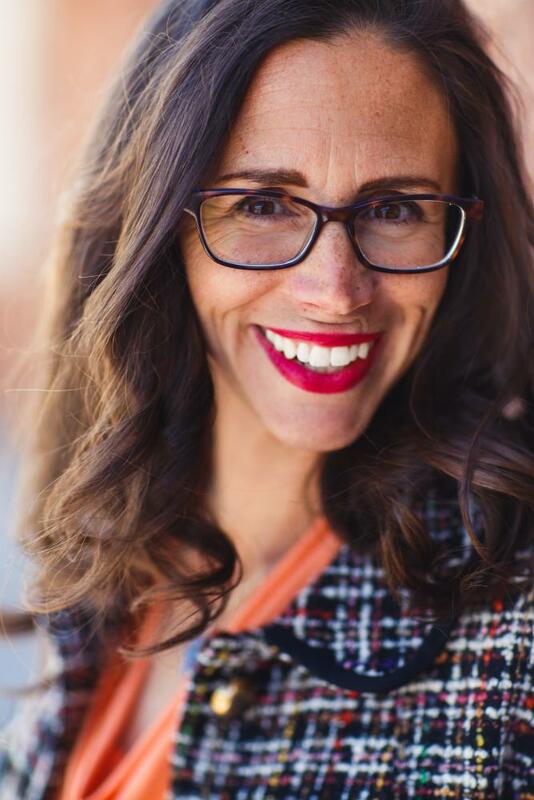 in psychology from the University of Arizona and brings a wide range of experience to her position. She worked for a number of years in the federal sector in administrative, professional and management positions. Most recently, she worked at the U.S. Embassy in Athens, Greece where she was part of the administrative team supporting the Ambassador and Deputy Chief of Mission. Erin Posthumus leads USA-NPN's outreach and engagement efforts with Nature's Notebook observers and USA-NPN partners. She is also the USA-NPN's liaison to the US Fish & Wildlife Service and is working with National Wildlife Refuges across the country to implement phenology monitoring to meet their resource management goals. Erin received her B.A. in Environmental Biology from the University of Colorado at Boulder, then worked on a variety of field biology projects around the US and abroad. She first came to the USA-NPN as a Peace Corps Fellow in 2010, during her graduate program at the University of Arizona's School of Natural Resources and the Environment. In 2013 she was awarded a Master of Science for her research on wildlife species diversity at endangered red squirrel middens. Alyssa Rosemartin supports partnerships with resource management agencies and researchers to advance the USA National Phenology Network's mission to improve scientific understand and decision-making. She also contributes to in-house data product development, including quality control. Alyssa has fourteen years of experience working in the field of natural resources, in IT, research, education and project management. Alyssa received a B.A. in Spanish and environmental science in 2000 from Smith College and an M.S. in wildlife conservation and management from the University of Arizona's School of Natural Resources and the Environment in 2008. Her thesis explores the relationship between food availability and reproductive investment in terns, as well as breeding bird use of wetlands in the northern Gulf of California. 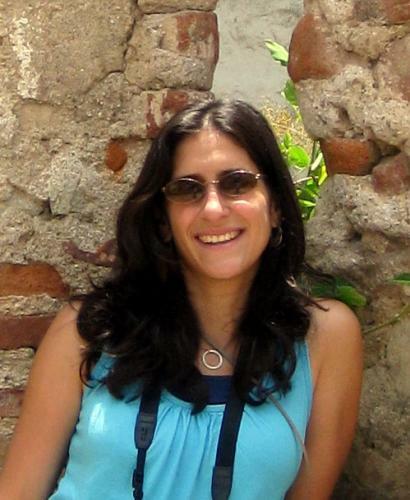 Sara Schaffer works for the USA-NPN as a Website designer and developer, working on website modifications using drupal. She has experience with graphic design, photography and publishing. She creates, formats and edits several of the documents produced by the NPN. Sara also provides support by completing various tasks related to daily operations and procedures. Her work varies depending on the tasks and events occurring in the NCO. Sara is a born and raised Tucsonan, and received her B.S. in Microbiology from the University of Arizona in May 2010. In her free time, she enjoys the company of her dog, traveling, hiking, canyoneering, yoga and cycling. 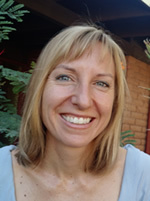 Sara teaches indoor cycling, weightlifting and yoga for a few local gyms, and rides the annual Tour de Tucson. Jeff Switzer will be using his programming skills to enhance and debug all aspects of the USA-NPN's IT infrastructure. His duties range from solving problems with the mobile apps to creating features for the website to optimizing the database. He assists the USA-NPN team in making processes and functionalities more efficient and more adept to handling observer’s needs. Jeff graduated from the University of Wyoming with B.S. degrees in computer science and mathematics. As a graduate student, he researched resource-bounded dimension and joined a startup where he developed an electronic medical records system. He then spent two years teaching in Africa before joining the NPN team. When he's not coding you can find him camping, mountain biking, making music, and drinking tea. Sierra Frydenlund volunteered for USA-NPN for a year before being hired as a research assistant for the Flowers for Bats Project in Fall of 2017. 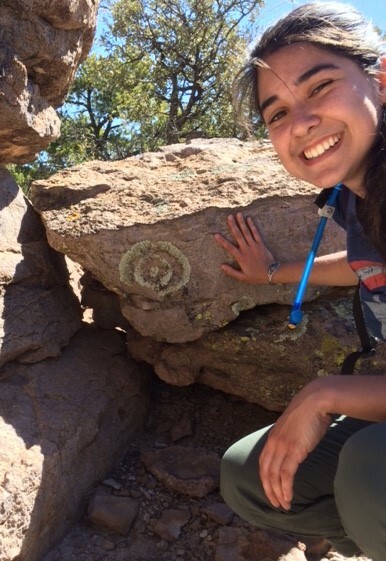 In this project, Sierra is helping construct a monitoring plan for the flowering phenology of agaves and saguaro. The data will be used by the U.S. Fish and Wildlife Service in conserving and protecting the lesser-long nosed bat. Sierra is a Senior at the University of Arizona working on a B.S. in Natural Resources with an emphasis in Conservation Biology. She is also working on a minor in Sustainable Plant Systems. Dionna Hatch is originally from Michigan, but left in 2002 and has since lived in Guatemala, Ohio, Pennsylvania, India, Sri Lanka, Kenya, and Nigeria before settling with her family of 6 in Tucson, Arizona in 2014. She served as an Agroforestry and Income Generation Peace Corps Volunteer in Guatemala from 2002 to 2004. In Guatemala, she worked with 2 women's groups on projects like aloe shampoo, ﬂower nurseries, cooking and baking classes, and wood-burning stoves. Dionna is also pursuing her Masters in Landscape Architecture as the logical combination of a Bachelors of Science in Environmental Science and Management (Michigan State University; 2000) and a Masters in Public Health (Wright State University; 2008). Her academic interests include utilizing green spaces to ﬁght climate change, improve human health, and provide a soothing aesthetic in a busy world. Dionna will be helping to develop some curriculum materials for local schools, assisting with the development of a new school garden project, and checking in with our partners at Manzo Elementary School's Ecology Lab as they use Nature's Notebook. 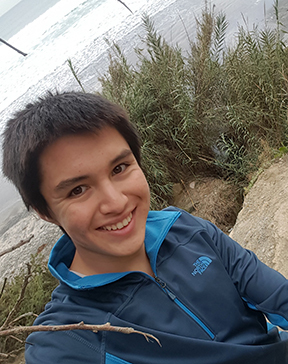 Diego Huerta began his internship in the fall of 2018. Diego's work at the USA-NPN is focused on invasive species. He performs analysis of invasive plant phenology data and pest prediction models. Diego Huerta is an Environmental Science major at the University of Arizona with a focus on Society and the Environment. A Tucson native, Diego's research interests include phenology, herpetology, and science communication. During his spare time Diego enjoys cooking, hiking and playing with his dog. Brenda Mbaabu is joining us from Washington State. She was born and raised in Kenya and has since then lived in various states in the United States. Her interests in public health led her to seek a Bachelor’s of Science in Human Biology at Northwest Nazarene University. After receiving her degree, she served as a Community HealthCorps member at the Alliance for Rural Community Health Centers in Ukiah, CA. 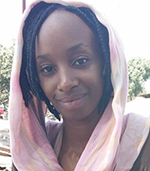 Thereafter, she served as a Health Sector Peace Corps volunteer in The Gambia from December 2015 to March 2018. In order to better serve within the field of public health, Brenda is working towards a Master’s of Public Health degree at the Mel and Enid Zuckerman College of Public Health. In addition, she is joining the USA National Phenology Network in efforts to partner existent phenology data with the work and research of public health practitioners. Jenny Moscato began her second year of work at the USA National Phenology Network this fall as a Paul D. Coverdell Peace Corps Fellow. She is a 2nd year, Masters of Landscape Architecture student at the University of Arizona. She grew up nearby in southern New Mexico and so is naturally a lover of the Sonoran desert and Tucson. She works with and trains volunteers at the Friends of Tucson’s Birthplace Mission Gardens Project. She enjoys our community and the passion of all the citizen scientists that she has met using Nature’s Notebook. She hopes to incorporate phenology into her landscape architecture capstone project next year. Jenny received a B.A. in Environmental Studies from Emory University in 2009. During a Peace Corps service assignment as a Natural Resource Conservation volunteer in Ecuador from 2011-2013, she lived in a rural, fishing village where her work in elementary and middle schools focused on environmental education activities. In addition, she formed a women’s artisan group that sold products made from recycled materials. She is pursuing a Masters in Landscape Architecture which will give her the opportunity to work on projects she is passionate about in the Southwest such as restoration of retired mining sites, access to public spaces, watershed management, and native ecosystems.